Through research, case studies, and personal experiences, Charlene Li and Josh Bernoff of Forrester Research explore the past, present, and future potential of the groundswell and its implications for the corporate world. While groundswell technologies like Facebook and YouTube are changing the way that consumers interact every day, the authors insist that this must change the way that companies think, listen to, and interact with them as well. Their thinking is, if customers are already talking about your company online, why not harness that for the good of the company? In fact, their principle for mastering the groundswell is, “concentrate on the relationships, not the technologies.” As new social platforms launch frequently (like Quora), it’s not about mastering them all or even establishing a presence on them all, it’s about determining which will be best to foster relationships with new and existing consumers. Written in 2008, a few things make this book noticeably “old.” Twitter is listed as an up-and-coming tool that should be on everyone’s radar- clearly they were right about that one. The book states that one in four online American adults visit social networking sites at least monthly, but I would guess that the number is higher now. The book directs readers to its del.icio.us account, but it hasn’t been updated regularly since July 2008. Though some of the statistics have changed, and the tools have evolved, the book is more about the overarching concept of embracing the groundswell, which is even more important to companies today than in 2008 when the book was written. I think one great recent example of a company embracing the power of the groundswell is Old Spice. Their Old Spice Guy videos gained an immense following on social media– so much so that traditional media noticed, and that sales spiked noticeably. One valuable tool to note is the Social Technographics Profile, which allows organizations to examine the online behaviors/trends of their target audiences. This model divides Internet users into several categories: creators, critics, collectors, joiners, spectators, and inactives. I would classify myself as a joiner and a spectator: I read many blogs regularly, but rarely make my presence known by commenting or contributing, which makes me a spectator. 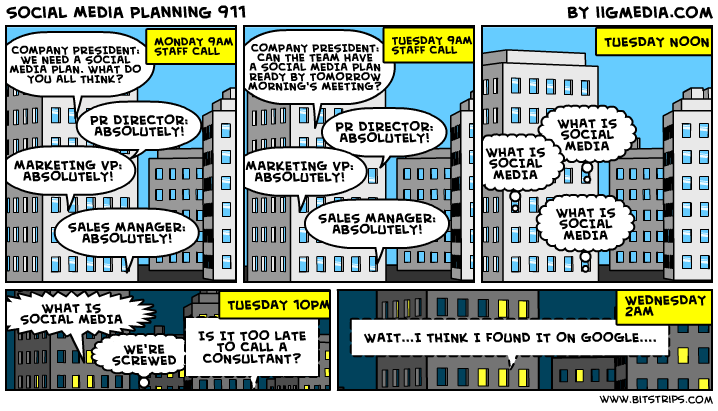 I also join a variety of social media and social networking sites, which makes me a joiner. Something that has probably changed since the book was written is that use of something like Twitter encourages almost all of its users to be creators: sure, there are some who join simply to read Kim Kardashian’s tweets, but I would guess that more than 18% of Twitter users are considered creators, though 18% is the estimate provided for online creators in the U.S.
It’s safe to say that the amount of people suffering from groundswell approach-avoidance syndrome have only increased since the book was written in 2008. Just about everyone can agree that social media cannot be avoided, and through the case studies in this book and documented thoroughly on the web, the business case is strong. What’s not so simple is remembering that going full steam ahead and establishing social media presences on every platform you can find is not the best approach- in fact, it’s an awful one. Actually stepping back to analyze the goals, establish a strategy, and determine appropriate tactics is a true challenge in a world where technology is evolving rapidly (thanks to the groundswell!). The POST method described in the book is a great way to ensure that social media efforts are grounded and well thought out. By establishing a foundation focused on People, Objectives, Strategy and Technology, the emphasis truly lies in the relationships, which harps back to the major principle for mastering the groundswell. Overall, I really enjoyed reading Groundswell. The numerous case studies give explicit examples of the challenges, successes, and failures that embracing the groundswell promises. I would definitely recommend it to others at any level within a changing company– especially a large company– as a basis for changing the way they think about audience interaction and the foundations of communication. By the way, the title is a reference to this post on Digg’s blog. 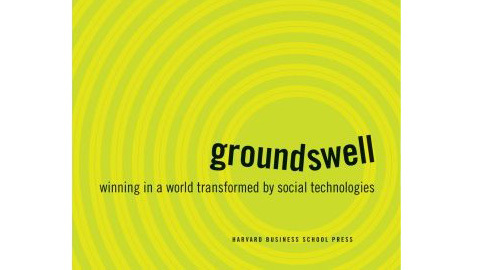 Read Groundswell (the ISBN number is in the title) if you’re curious to find out more about it..